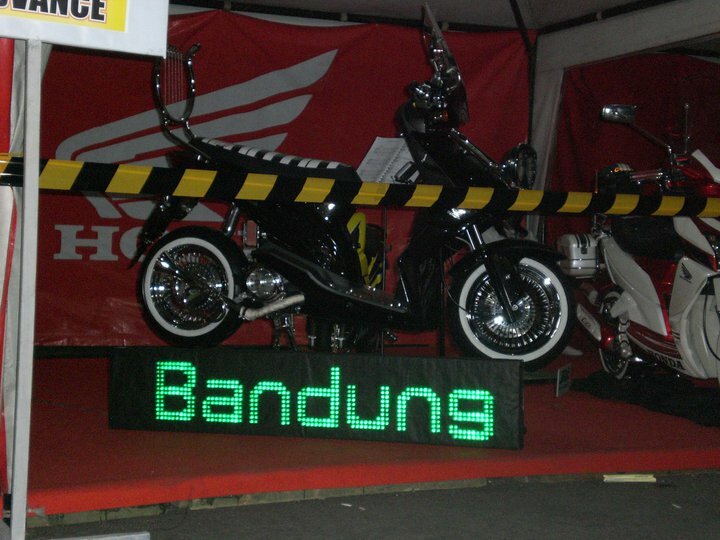 honda beat bandung winshield in trend in road. as proof in the modification this motor is very nice to be added with some winshield, motorcycle part that use be shield from big wind is now can be used for make our motorcycles more interest to be good looking. 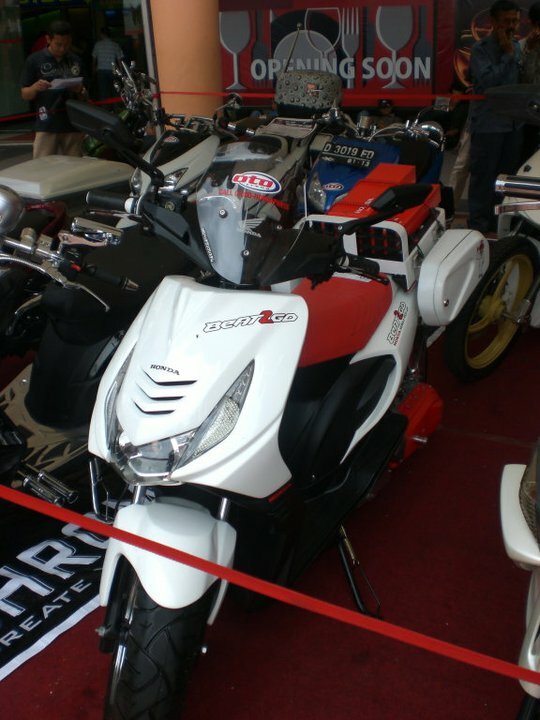 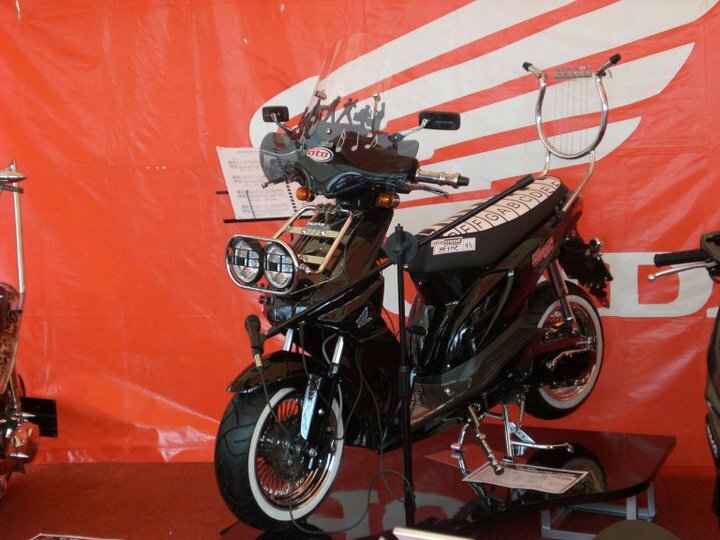 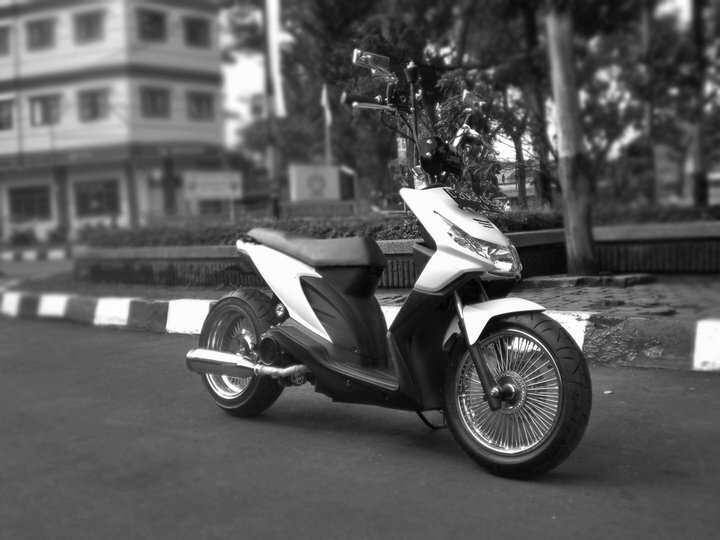 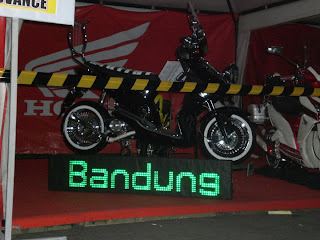 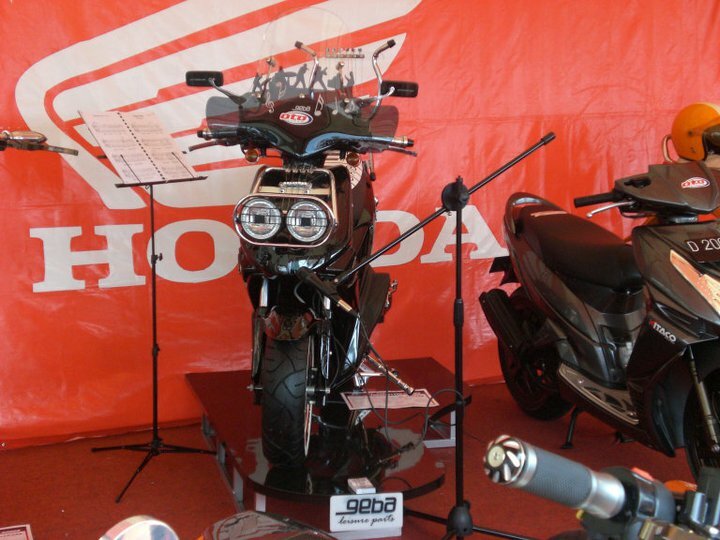 this is some picture that taken from show motor in bandung.